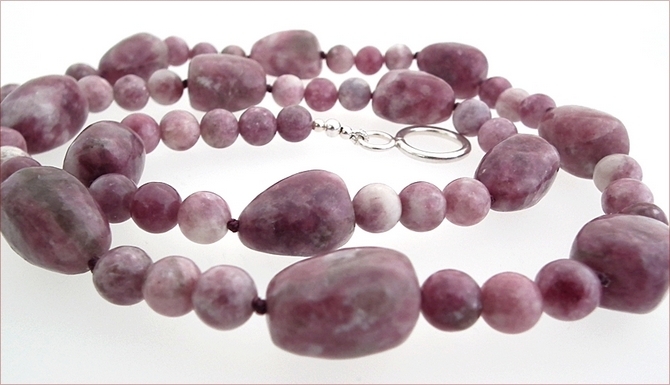 Lepidolite is an unusual semiprecious stone of a beautiful lilac colour. It is a form of mica and a source of lithium. 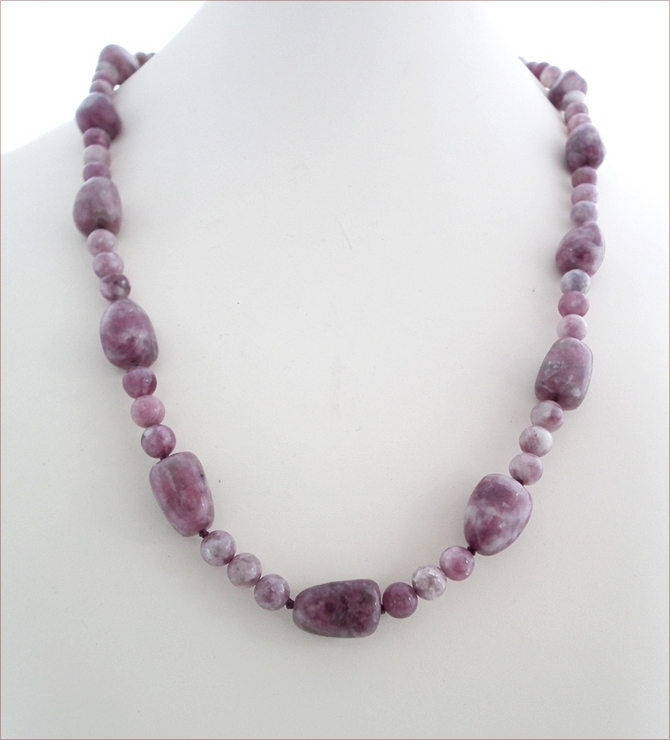 It has a pearly lustre and is a relatively soft stone which gives it a lovely warm feel. It is found alongside other minerals such as quartz and tourmaline in mines all over the world, from Brazil to Madagascar, Russia, Canada and Japan. 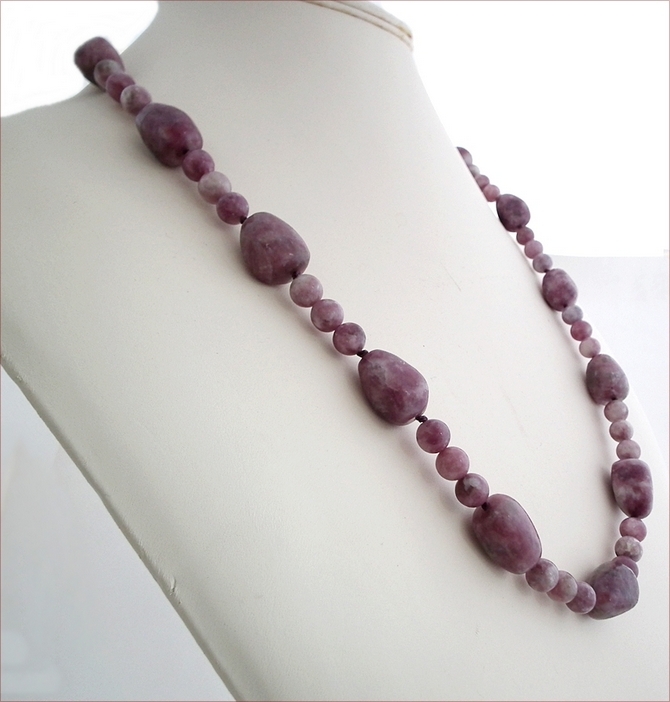 It works very well in jewellery and I'm surprised it is not more widely used. The stones are relatively pricey - more expensive than quartz, less expensive than tourmaline. 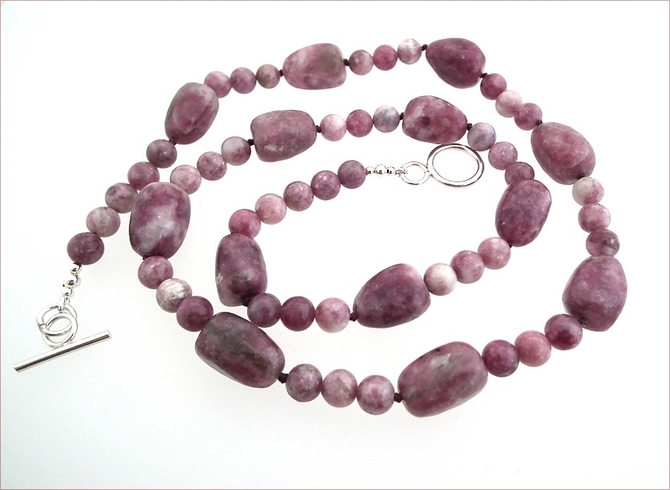 Here I've used lepidolite pebbles (20mm x 16mm) with 6mm round stones, knotted on lilac nylon silk and fastening with a large Karen Hill Tribe silver (purer than sterling) toggle clasp. 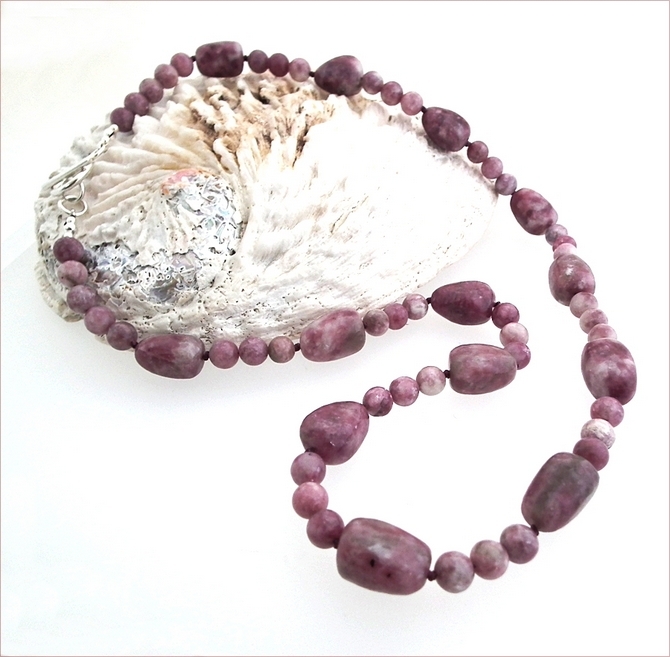 The necklace is 28" (720mm) long - long enough to just pop over your head. This would look fabulous over a grey cashmere jumper!